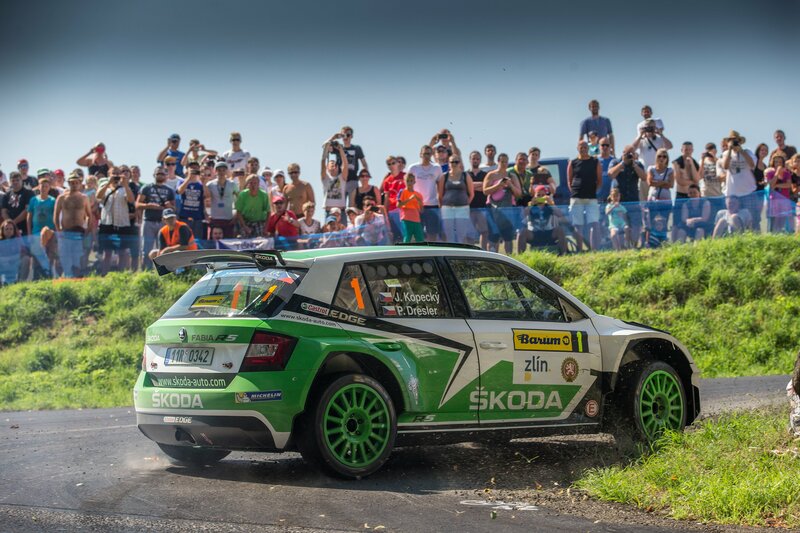 Zlín, 30 August 2015 – ŠKODA driver Jan Kopecký (CZ) was crowned Czech national champion, thereby giving the works team its first title with the new Fabia R5. Together with his co-driver Pavel Dresler (CZ), Kopecký was victorious on home soil at the 45th Barum Czech Rally Zlín, beating the gathered European elite and delighting thousands of fans. 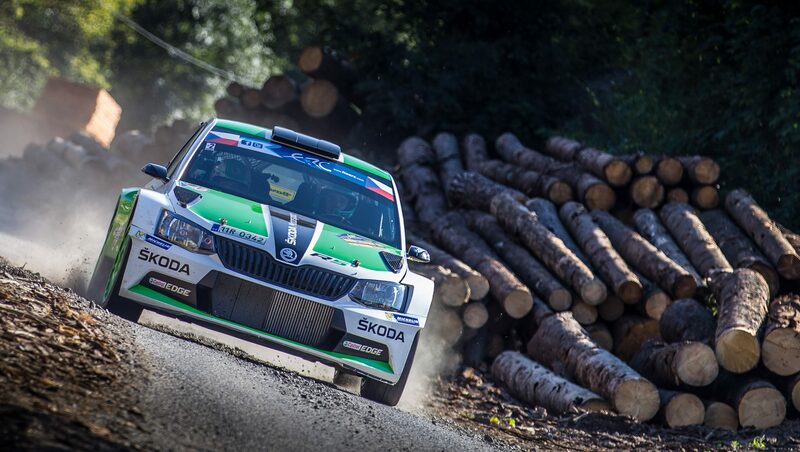 After the fifth win in five races this season, Kopecký/Dresler have clinched the title in the Czech Rally Championship (MČR) before the end of the season. After victory in the European Championship (2013) and in the Asia-Pacific Championship (2014), this completed a very special hat-trick of titles. “Congratulations to our Czech national champions Jan Kopecký and Pavel Dresler! The first title with the new ŠKODA Fabia R5 for our works team is the reward for the work of the entire team of ŠKODA Motorsport. And also confirmation that we got something right when developing our new rally rocket,” praised ŠKODA Motorsport Director Michal Hrabánek. 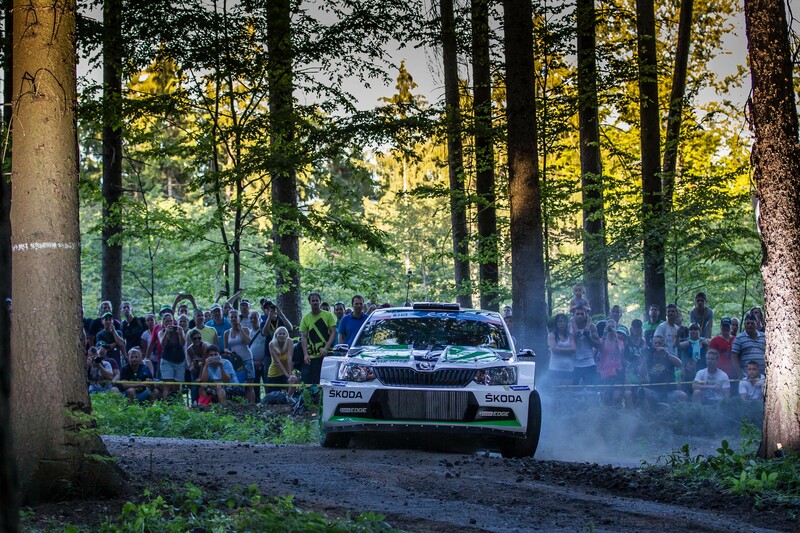 The ŠKODA Fabia R5, which was first presented to the international public in April, proved to be a reliable and pacy winning car in the Czech national championship. Veteran driver Kopecký was unbeatable in the turbo four-wheel drive once again in the fifth race of the season and didn’t let the European elite get a look in. The penultimate race of the MČR season was also part of the FIA European Rally Championship (ERC). “We are delighted to have won the championship title! Václav Pech really didn’t make things easy for us in the course of the season. But our ŠKODA Fabia R5 really is very very strong. I would also like to thank the team at ŠKODA Motorsport, who made it easy for us to win. First our victory at the Rally Germany in the WRC 2, then a week later victory in the ERC here at home – we really have had a brilliant time. Now it’s time to celebrate,” said Kopecký. 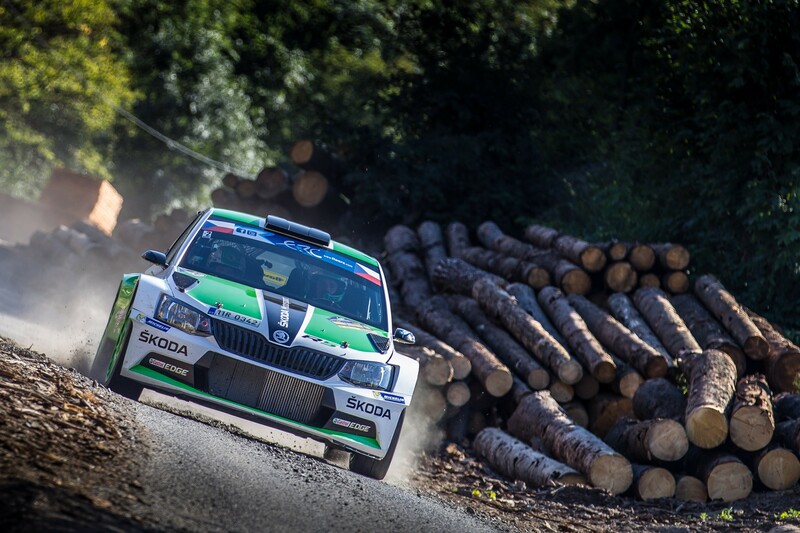 The 33-year-old Czech won the coveted Czech national championship title for the third time, after victory in 2004 (in the ŠKODA Fabia WRC) and 2012 (in the ŠKODA Fabia Super 2000). It was made possible by a convincing performance on the demanding asphalt tracks in Moravia with numerous changes of direction. 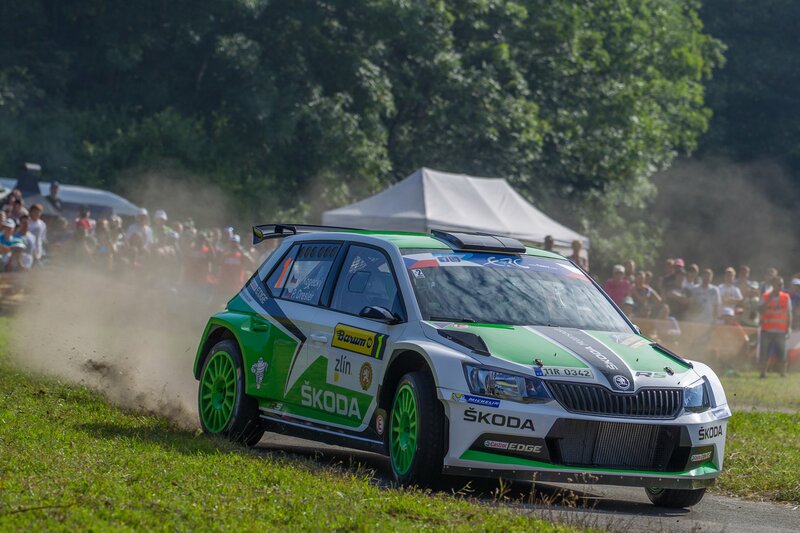 With wins on all eight of Saturday’s special stages, Kopecký/Dresler built up a lead over arch-rival Václav Pech (CZ), which they managed to defend well on the six tricky special stages on Sunday, despite turning their car. This saw them continue their streak of winning every two years: After 2009, 2011 and 2013, they celebrated their fourth victory at the highlight of the season on the Czech rally scene. And after the historic first title win with the Fabia R5, the ŠKODA works team is on the hunt for further titles this year. In the FIA Asia-Pacific Rally Championship (APRC), the works team of Pontus Tidemand/Emil Axelsson (S/S) is on track to win the title. Works duo Esapekka Lappi/Janne Ferm (FIN/FIN) are also in with a good chance in the FIA World Rally Championship (WRC 2). “The first title win is our motivation to work even harder to get further success,” said ŠKODA Motorsport Director Michal Hrabánek. 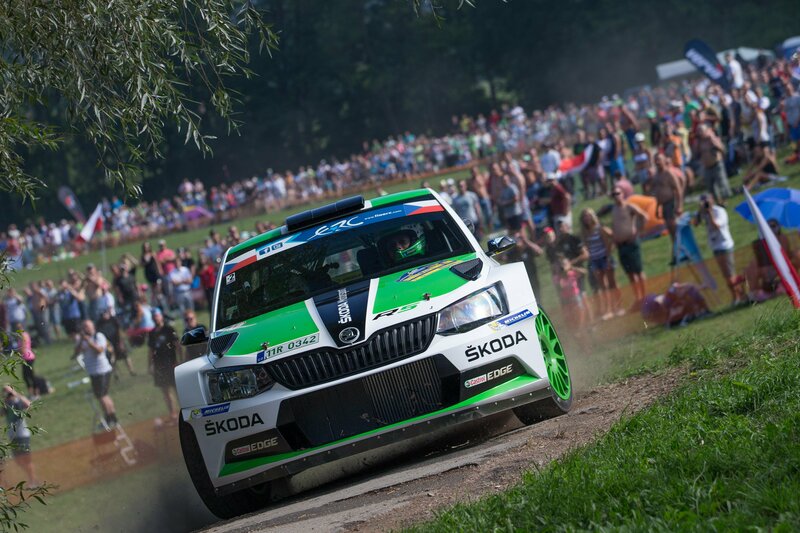 The ŠKODA Fabia R5 was once again the outstanding car in the ERC rally in Moravia. Jan Kopecký/Pavel Dresler won nine of the 15 special stages. In doing so, the new Czech national champions achieved the feat of winning all eight of Saturday’s stages. 1. 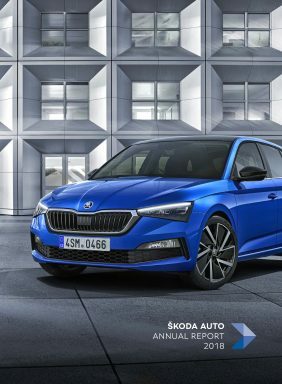 Kopecký/Dresler (CZ/CZ), ŠKODA Fabia R5; 2:12:17.7 hrs. 2. Pech/Uhel (CZ/CZ), Mini John Cooper Works S2000; + 0:27.3 min. 3. Kajetanowicz/Baran (PL/PL), Ford Fiesta R5; + 0:39.9 min. 4. Lukyanuk/Arnautov (BY/RUS), Ford Fiesta R5; + 1:10.8 min. 5. Valoušek/Havelková (CZ/CZ), ŠKODA Fabia Super 2000; + 2:30.0 min.